We’d love your help. Let us know what’s wrong with this preview of Morning Song by Susan Todd. 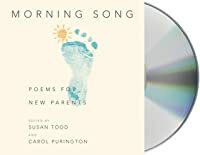 Poignant, inspiring, and full of wisdom, Morning Song celebrates the joy a new child brings to the life of parents and family. With sources ranging from the Bible, Sappho, and traditional songs to Dickinson, Yeats, Frost, and our outstanding contemporary poets, this beautiful collection summons the cosmic and the comic, the spiritual and the pragmatic, the whimsical and th Poignant, inspiring, and full of wisdom, Morning Song celebrates the joy a new child brings to the life of parents and family. With sources ranging from the Bible, Sappho, and traditional songs to Dickinson, Yeats, Frost, and our outstanding contemporary poets, this beautiful collection summons the cosmic and the comic, the spiritual and the pragmatic, the whimsical and the divine. Sections such as "Conception and Grace," "Waiting," "Sleep and Song," and "Green and Carefree" evoke the breadth of the parenting experience and capture the emotional intensity of this magical time. To ask other readers questions about Morning Song, please sign up. Nice poetry for mothers. As always with a collection there are some that speak to me more than others but the author did a good job of using a variety of sources and honoring the diverse experiences of parents. I ran into this book at the library and decided to pick it up, mainly because I was searching for happiness in being a mother. As I read through the poems I began marking each loved one with post-its. By the end, it was filled with post-its and I realized this is a book I need to buy! This collection from various acclaimed poets is amazing. Perfect gift for new and literary parents. Also get them a baby sleep book. A very nice anthology of poems about being a parent. This would make a good gift for a poetically inclined mom or dad to be, or even a new parent, since the poems are all bite-sized enough to sneak while the baby sleeps or plays for a little intellectual and emotional lift. 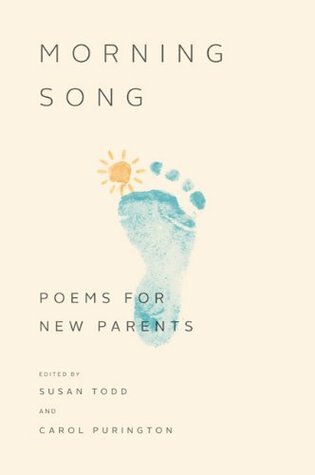 Morning Song: Poems for New Parents is beautifully birthed and conceived and developed in all of human life and love's experience of pain and pleasure. The birth of a child is an event so extraordinary that parents often lack the words to describe their thoughts and feelings. Collecting some of the finest poems ever written on birth and childhood, Morning Song not only articulates but also expands and refines our sense of this miracle of a new life. Other than divine love the relationship of parent and child , it is the purest and most powerful love in this human life can have . A few gems, some duds. Overall a great meditation on new parenthood. This collection of poems is a wonderful gift for new parents but I can't imagine there is a parent at any stage that won't appreciate these carefully chosen words. I read this while I'm pumping and kind of makes me love pumping- it's that good! On the sweet side and I question the addition of some of the Biblical verses, but there are some real gems in here and I found some new poets I'll be following. A collection of classic and contemporary poems about expecting a child, birth, parenting, and children, and a perfect gift for parents-to-be.